Last year, I had the opportunity to participate in one of my favorite race weekends to date, the Blue Ridge Marathon in Roanoke, Virginia. 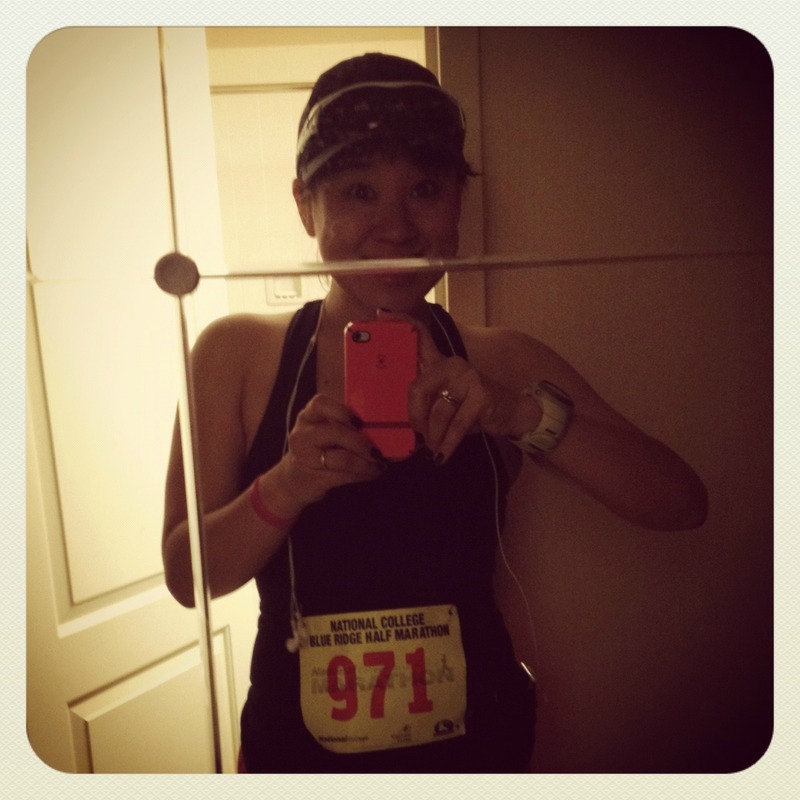 I ran the half marathon this year after winning an entry from David‘s blog, but as I annouced recently, I am taking no prisoners in 2013 as I take on the challenge of the FULL….and I want YOU to join me on APRIL 20, 2013 too!! Pre-race smiles on race day! No, I am serious! How serious, you ask? Well, as I previously mentioned, there’d be a lot of updates from me about this race because I am SO stoked to announce that I am an official Blue Ridge Marathon blogger – which means a lot of things…but most important to you, it means I have A FREE ENTRY to share with YOU! After seeing that, I am SURE you are interested! And entering to win YOUR free entry (to the half or full marathon) is super easy – all you have to do is answer this question: why do you want to run the Blue Ridge Marathon? This contest will be open through Saturday, October 6 at 11:59 PM – I will announce the winner on October 8th on my Monday morning post. So, why do YOU want to run the Blue Ridge Marathon? Wow! it looks crazy! This would be a marathon I would do with a friend, with no time goal. Just, go and enjoy the sites and the ride. I would LOOOVE to run the Blue Ridge (Half) Marathon because I love the Blue Ridge Mountains. I’ve only driven on the BRP once, but I would really like to experience it again. My dream is to live in the mountains someday! Plus, I love the challenge of some “hills”!! 🙂 Thanks for the giveaway! Since it isn’t pancake flat, it will actually keep my interest enough to want to do another road marathon. Ran it the first year. Want to go back!! I love mountains! Because apparently I didn’t learn my lesson last year? I want to run, because my mom is running it! I want to run it because I am dying to run a destination marathon. This would be perfect! Some of my favorite non-running memories are in the Blue Ridge Mountains and I am anxious to add this event as my favorite running memory! Would love to use this as a destination race and girls weekend. I would love to be able to return to the Blue Ridge Mararhon again for the challenge of running up that beautiful mountain. I don’t even mind the 9hr drive from central Alabama to get there! Would love to run this marathon because I live a good challenge! I’ve never been, and don’t even know where this race is at, but I will have completed my first full marathon this October 21 and am looking for more challenging races. Also I was challenged by a friend to complete this race, and I love a good challenge! I’ve said so many times this year that I don’t think I want to run a full! I’m not sure when it how that changed but somehow it has. My husband and I have a goal to race a half in every state and we haven’t run in VA yet… And surely the full would count in our quest right?? I would love to run this race as it would be a destination race for me and I get to bring the family and discover a new place in Virginia that I haven’t made it to yet. Last week I ran a trail half marathon with similar incline stats, and this looks like the next challenge for me. Well that and Pikes Peak! 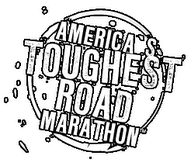 I would love to (attempt) to run the Blue Ridge (Half) Marathon! 🙂 I have never been to Virginia and what better excuse to visit? It sounds very challenging, but fun and scenic. To prove to myself that I can do whatever I set my mind to and dominate this run! It would be great to have a weekend getaway in the mountains…..a reason to take a vacation!